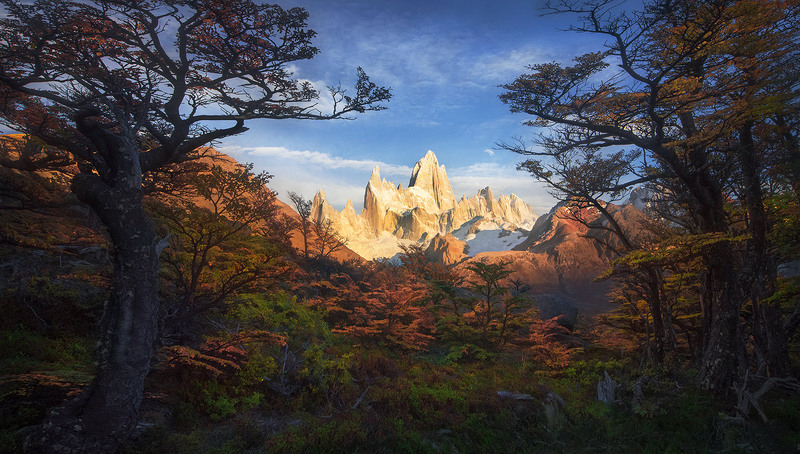 One of the most impressive peaks on Earth, Fitz Roy, through Lenga Forest. . Photo © copyright by Marc Adamus.